How Many Calories Is 1/2 Cup Cooked Cauliflower With Cheese Sauce? Fresh spinach adds more flavor to lasagna. 4 How Many Calories Is 1/2 Cup Cooked Cauliflower With Cheese Sauce? Fresh spinach is readily available all year and can easily be substituted in a lasagna recipe calling for frozen spinach. Because fresh, raw spinach contains a great quantity of water, it's a good idea to cook and drain it before mixing into lasagna. Not only does fresh spinach cook down to less than half the starting volume, but all that excess water may not be absorbed by the pasta, resulting in lasagna that's watery and ultimately unappetizing. If using a recipe that calls for frozen spinach, substitute fresh spinach by using the following formula. 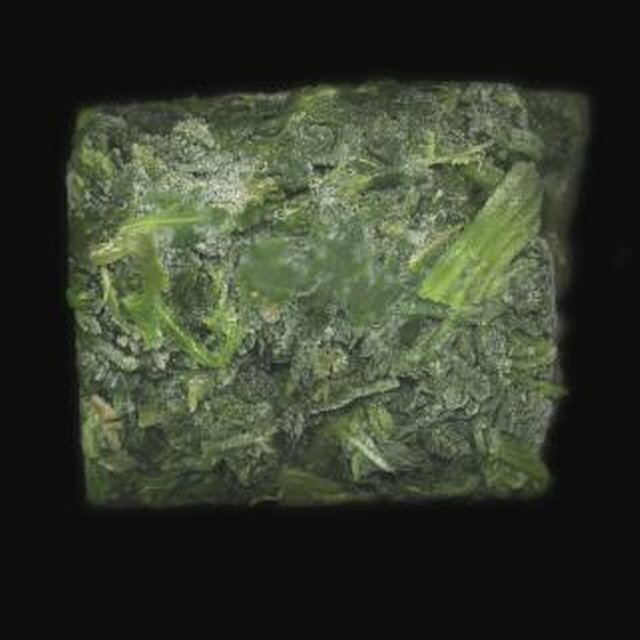 Five ounces of frozen spinach is equal to 1 pound of raw spinach or 1 cup of cooked fresh spinach. There are several different methods for cooking fresh spinach before using it in a lasagna. 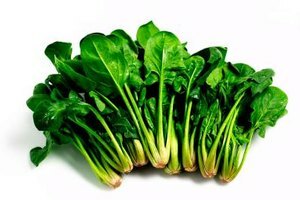 Spinach cooks fast so whether it's boiled, sauteed, stir-fried, wilted or steamed, the most important thing is not to overcook it. After removing the stems and rinsing the fresh spinach leaves in a colander, an easy method is to cook the rinsed leaves in a medium saucepan or skillet using the water still clinging to the leaves. Cook over medium heat with the lid on for three to five minutes. However you cooked the spinach ,and regardless of whether you used frozen or fresh, drain it thoroughly before adding it to the lasagna recipe. Squeezing the water out by hand or press it down in a colander. Finish drying the spinach with a squeeze between several paper towels. For easy distribution chop the spinach coarsely after drying it. There are a few instances when having some extra liquid in a lasagna might be preferable. For example, lasagna made with no-boil noodles tends to be drier, and extra water may help the pasta absorb the flavors of the other ingredients better. Also, when the sauce is very thick or chunky a little extra water from the spinach can help distribute the sauce more thoroughly. In either case, chop the fresh spinach and add it to the other ingredients uncooked. Alternatively, cook the spinach but don't squeeze the water out before chopping it and adding it to the other ingredients.